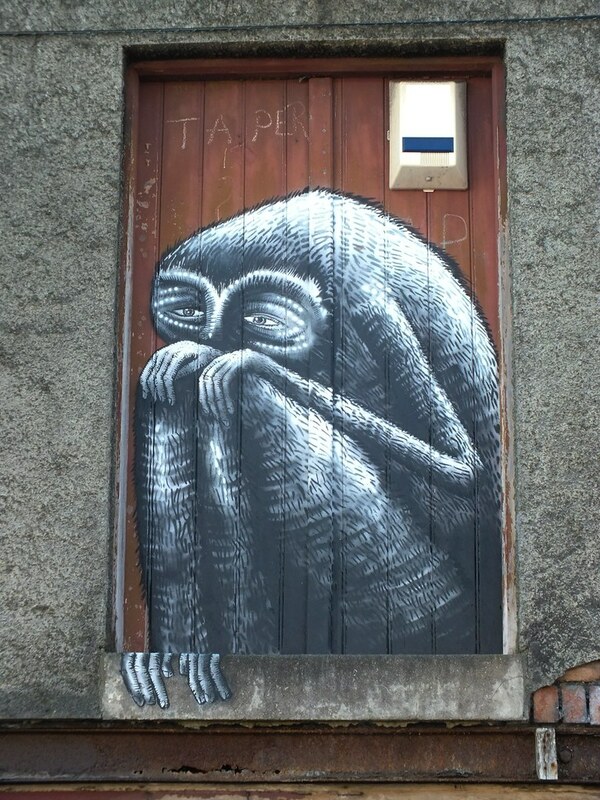 Born in North Wales but now residing in Sheffield, Phlegm is a cartoonist and illustrator known for his self-published comics and amazing graffiti and street art. 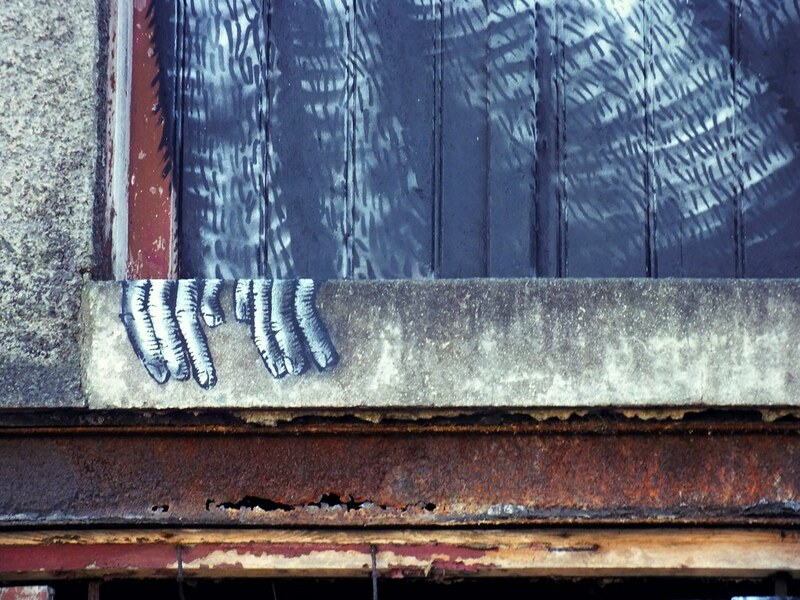 Phlegm continually seems to be travelling all around the world spreading his huge pieces featuring large, quirky creatures on buildings, vehicles, structures and derelict areas throughout the planet! And his next stop…? The capital city of his home country – Cardiff. 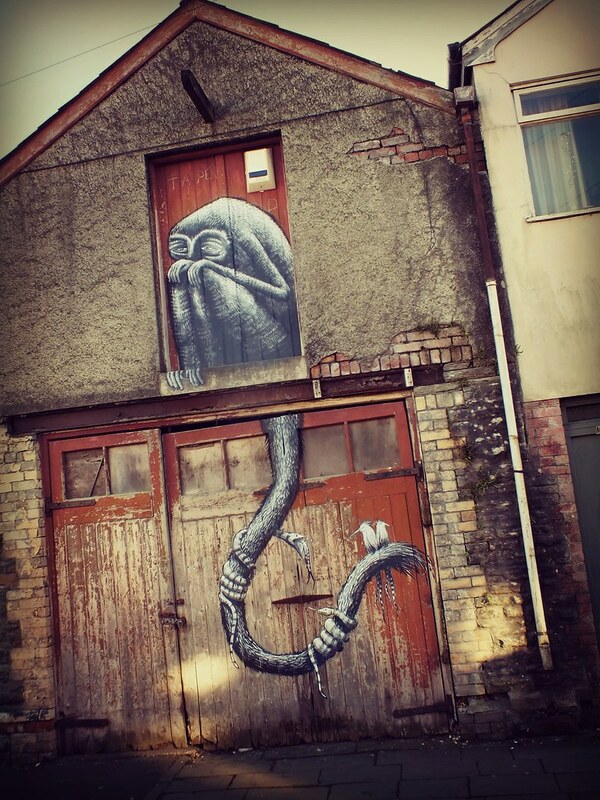 It was great to hear that Phlegm was to pay his first official visit to paint in Cardiff as part of the Empty Walls festival. 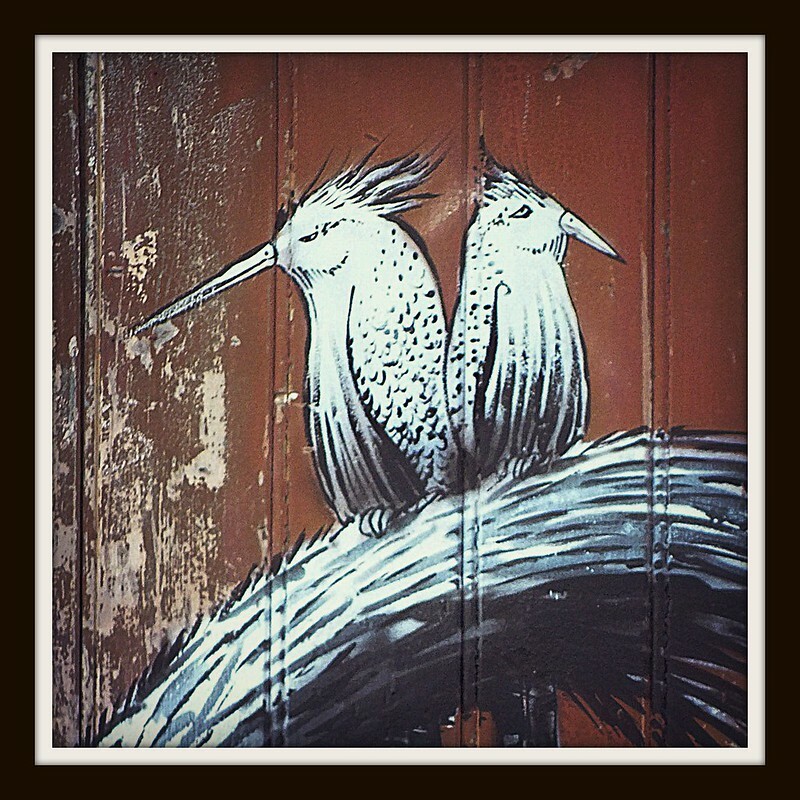 The event invited 12 local and international artists to transform the streets of Cardiff to bring colour, culture and vibrancy to the city. 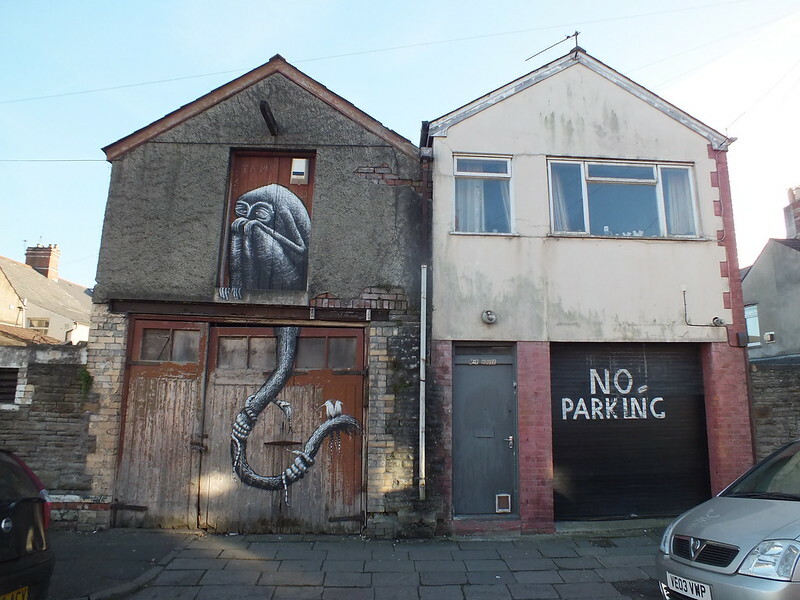 Firstly this piece on a back street in the Roath area of the City was splashed across both stories of an old coach house/garage. 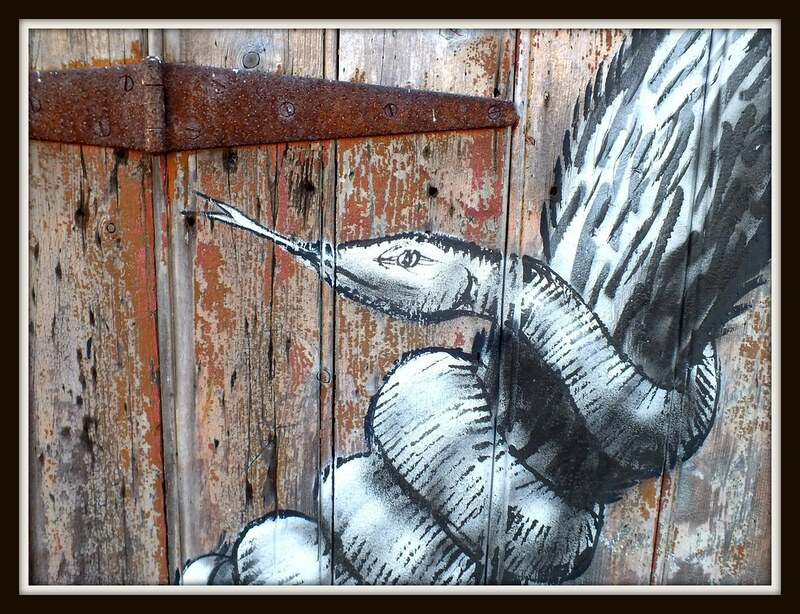 Featuring a detailed character perched in a doorway with his tail as a host for some other creatures – at first glance it all looks rather innocent…. 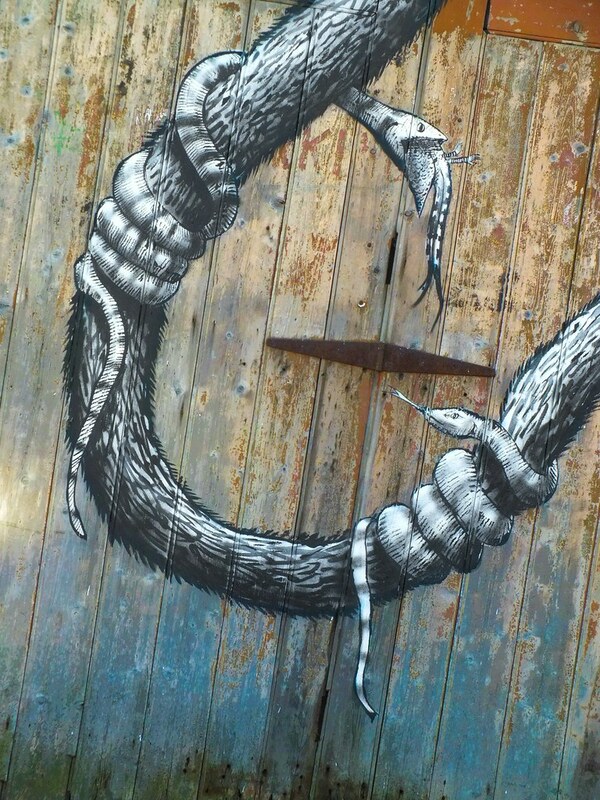 But on further inspection it features two snakes wrapping themselves around the girth of the tail with one finishing off some food. 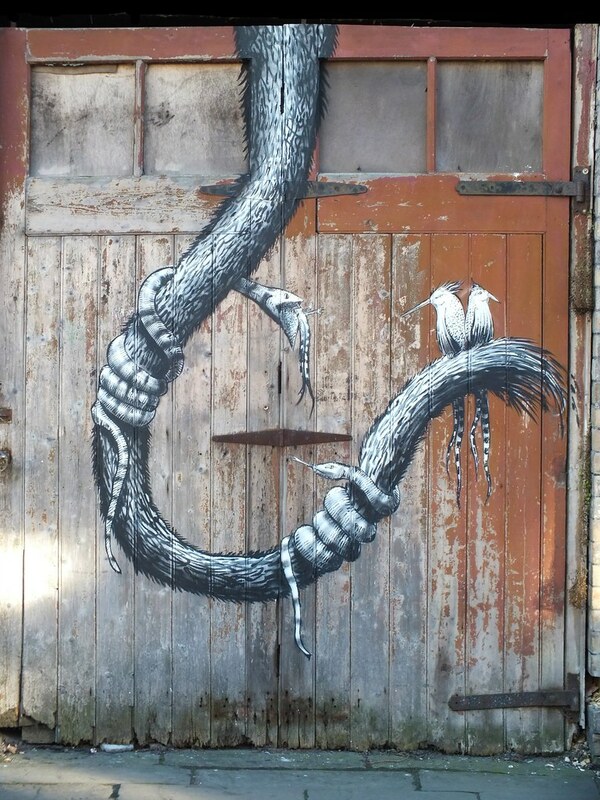 Perched on the end of the tail are two bird-like creatures looking rather indifferent and unaware that one of their mates may have just been chomped on for dinner! 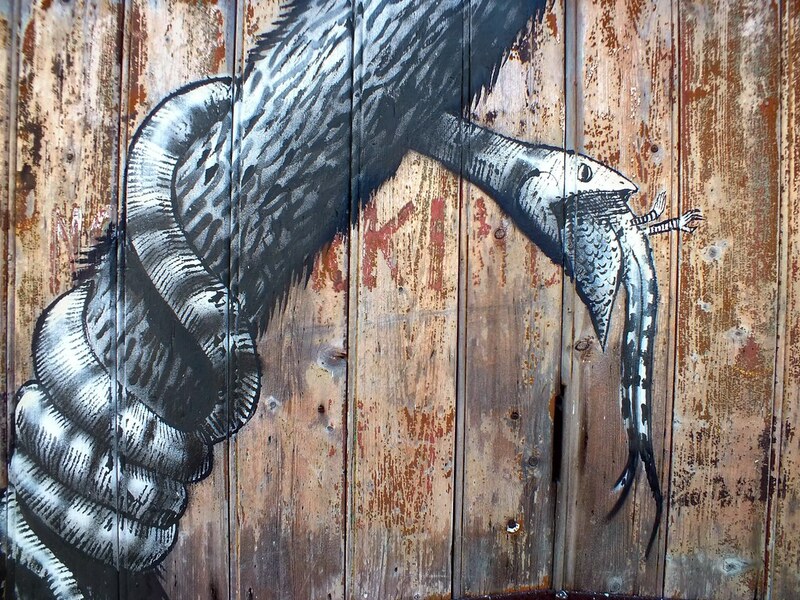 Such a fantastic piece and just one of three that Phlegm has contributed to the city – the other two coming soon!